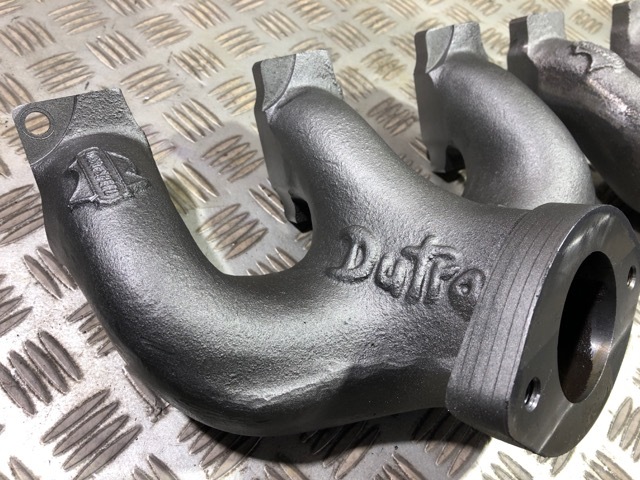 Aussiespeed is now manufacturing the previously USA manufactured Dutra Dual cast iron headers. 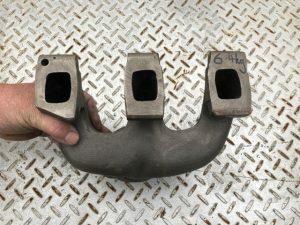 The twin outlet Chrysler headers were originally made by Doctor Dodge Doug Dutra. 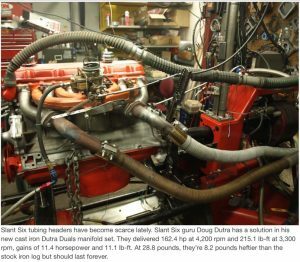 A feature on Aussiespeed performance products, Hughes Engines and the Dutra Duals by Hot Rod Magazine was the launching place of the joining of the brands. 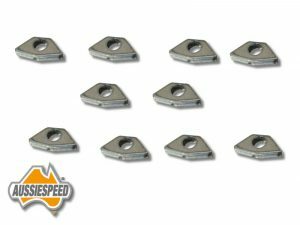 The Aussiespeed Dutra Duals are fully CNC machined and by doing this it makes the fitment so much easier and ready to install on cars and trucks. The test engine found gains simply by replacing the single outlet exhaust header and fitting the duals. As the test headers were not CNC machined like the NEW Aussiespeed version fitment to a lot longer. 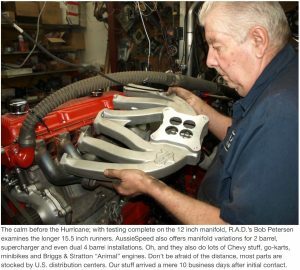 The engine pictured was also fitted with an Aussiespeed aluminum valve cover with its bright red powder coated and satin polished fins. 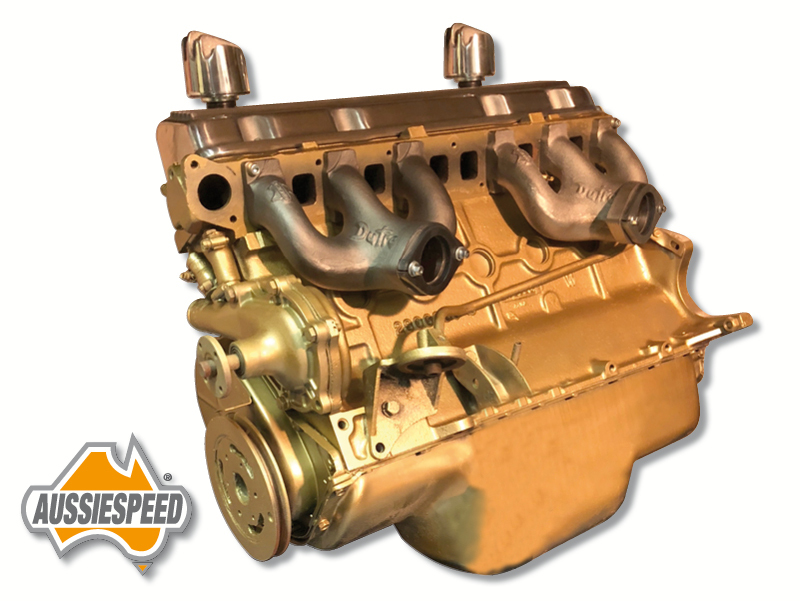 The valve cover is available in raw, polished, black or red finish. Fitment is even easier with our Aussiespeed AS0190S steel batwings. 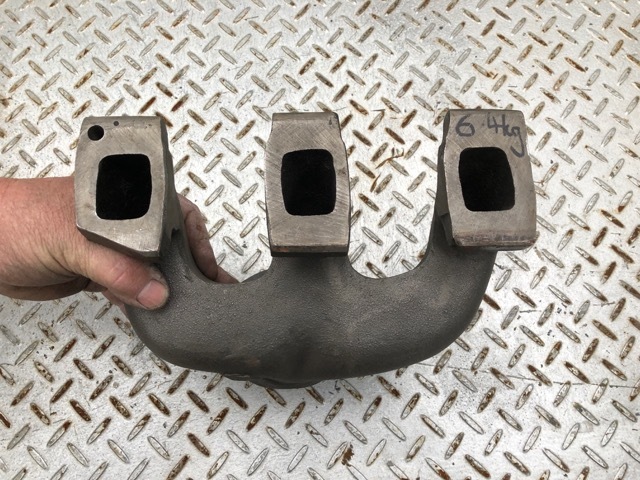 As the slant 6 uses the steel bridge style clamps to hold both intake and exhaust manifolds to the cylinder head clamping pressure is an important part of good gasket sealing. There have been a lot of comments of forums and discussions between Chrysler slant 6 owners relating to the work required when it came to fitting the Dutra duals. The picture above shows how the top, side and reliefs for the batwings are now CNC machined. This reduces hours of cutting, grinding and any additional machining with the previous model. 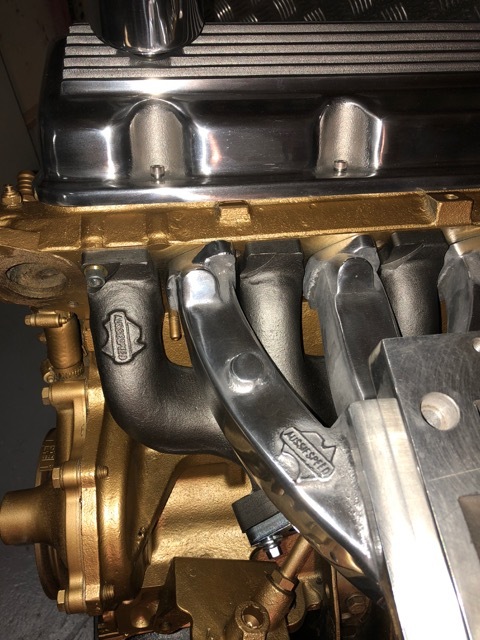 The underside of the manifold is also CNC machined to clear the step outs on some slant 6 engine blocks and also has the batwing reliefs machined. 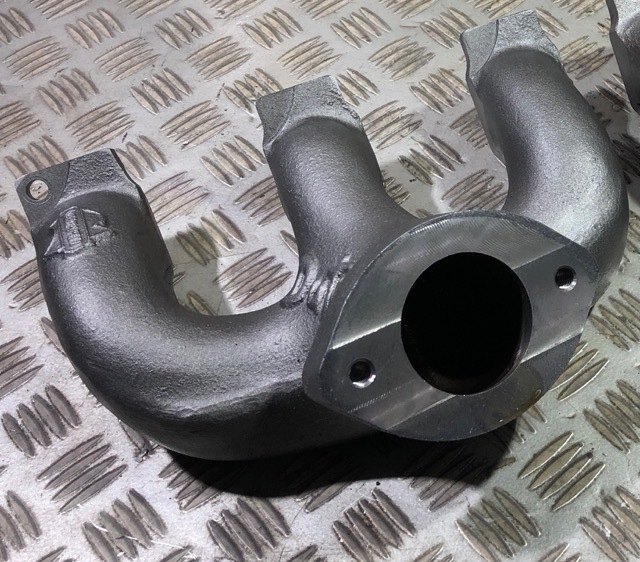 The headers are now easily fitted with MOST aftermarket and factory intake manifolds. The outlet flange is completely re profiled, It is supplied with a laser cut steelflange and gasket. 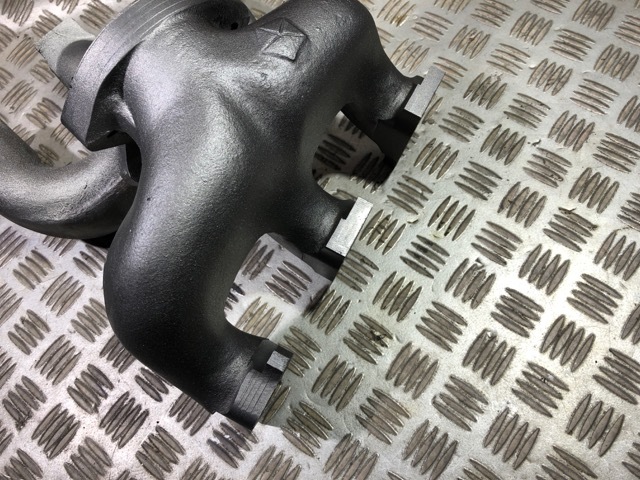 With the removal of the excess flange material from the underside it gives more clearance and keeps the exhaust further away from the starter motor. AS the USA manufactured Dutra Duals looked. 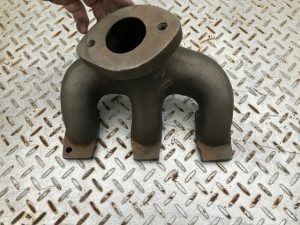 There was alot of excess material still to be removed on the head flanges. The what can be described as massive outlet flange on the USA made Dutra Dual has been completely re-profiled on the Aussiespeed version of the Dutra Dual.